Our heritage-listed buildings will add a unique ambience to your event whether it’s a personal occasion such as a wedding or anniversary celebration, or a corporate event or conference. 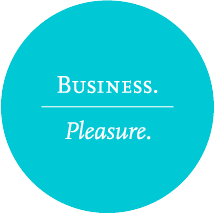 Once you choose Abbeville Estate, we’ll help make the business of organising it a pleasure. As part of this, all catering is provided by The Great Catering Company whose philosophy of Serving Amazing Anywhere has seen them grow to become the undisputed leader in both the private and corporate market. 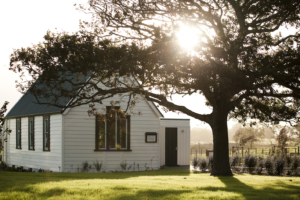 The light that enters through the stained glass panes of the Church falls over its warm native timber interior and sets the most idyllic stage for weddings. Alternatively the landscaped grounds provide a picturesque stage for nuptials and the perfect common area for mingling and photography. A marquee with seating can be arranged on the lawn or you can choose the Homestead or the Barn as the venue for your fully-catered reception. The Homestead also includes a separate parlour that can be used as a private preparation space for brides. Its proximity to Auckland Airport makes Abbeville Estate ideal for corporate events that bring together teams from across the country. Accommodation for out-of-town visitors can be found at the nearby Novotel and Formule1 hotels. The Auckland Airport Business District also has a well-frequented shopping centre and supermarket. The Homestead is wired for video and audio, with a built-in projector available for booking. A separate Garden Room can be used as a break-out space or opened up to create a single flowing space. The rustic nature of the Barn provides an uncommon environment for any event, product launch or fashion show or shoot. Team building activities can be found just a short walk away from Abbeville Estate. They include a high ropes confidence course, paintball and a golf course and driving range. Whether you need a venue for a small party or big celebration, Abbeville Estate offers you an incredible opportunity to make it an unforgettable experience. Choose from our three heritage-listed buildings. Or if your celebration calls for it, you can even book all of them. The enchanting landscaped grounds also provides an excellent space for your guests to mingle and enjoy cocktails. Perfect for relaxed cocktails on the lawn to memorable weddings and christenings in the Church. From extraordinary corporate events in the Homestead to fashion shows in the Barn.